That’s not all about Kiulu! You have the chance to let yourself be enthralled with the pristine breathtaking surroundings…until it’s time go back to your respective hotels. Pick up starts from 0800 to 1000, depends on your hotel location, and 1 1/2 hours drive to Tamparuli District/Area. Arrive at Starting Point. Change clothes/apply sunblock lotion, leaves personal belongings. Participant will be provided mineral water before excursions. The river guide will give safety briefing for about 10 -15 minutes right after all participants are equipped with helmet, life jacket, and paddle. After completion of safety briefing, all participants would start rafting that covers 9km of Kiulu River, which takes 1 1/2 hrs to the Ending Point. Upon arrival at the Ending point. Change clothes, and have lunch while enjoying the photo taken during the rafting (Photo will be taken only if there are 20 above participants for the particular day). After 1 1/2 hrs free at leisure, participants depart for Kota Kinabalu/Hotels that takes 1 1/2 hrs drive. 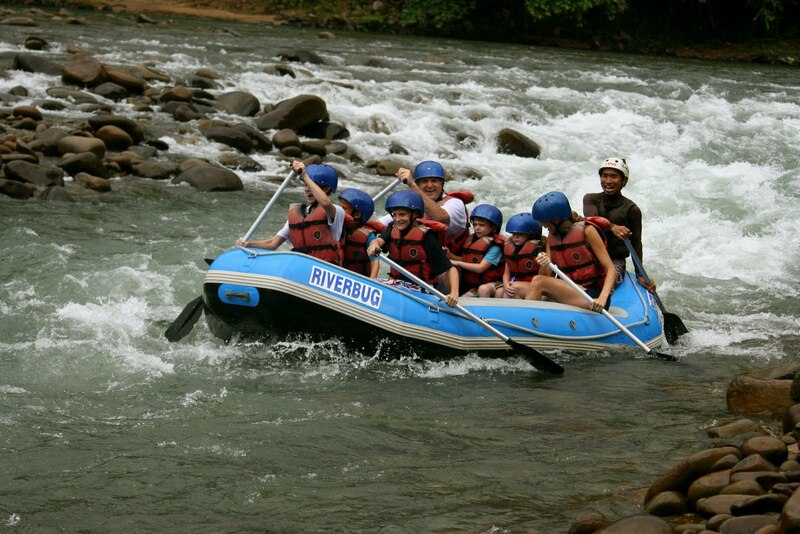 Tour will ends roughly around 1600.
: River Guide, life jacket, rafting gear, activities (as mention) & lunch.